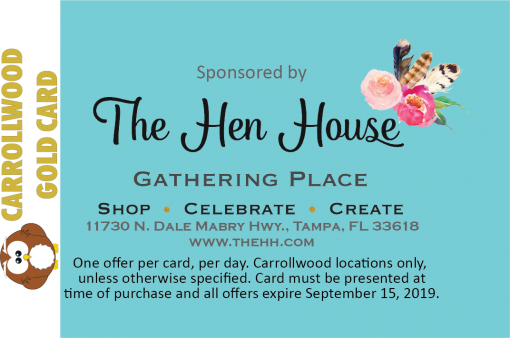 Don’t miss out on your chance to get one of the 2018-2019 Carrollwood Gold Cards! 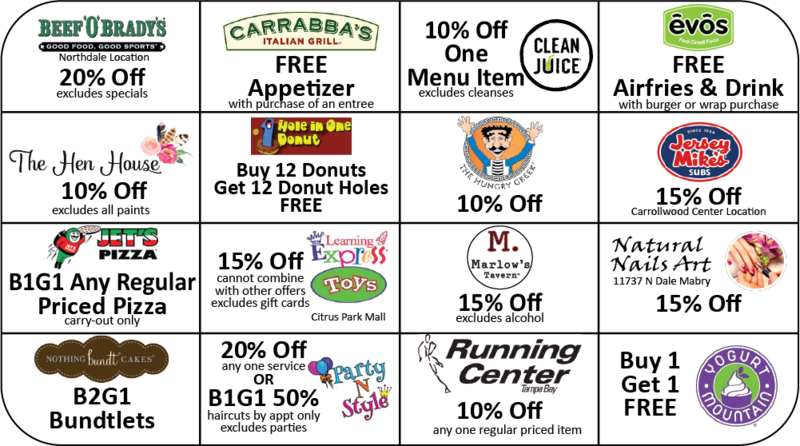 This card is super charged with value with deals from some of your favorite Carrollwood area businesses. Check out the full description for details! Don’t miss out on your chance to get one of the 2018-2019 Carrollwood Gold Cards! 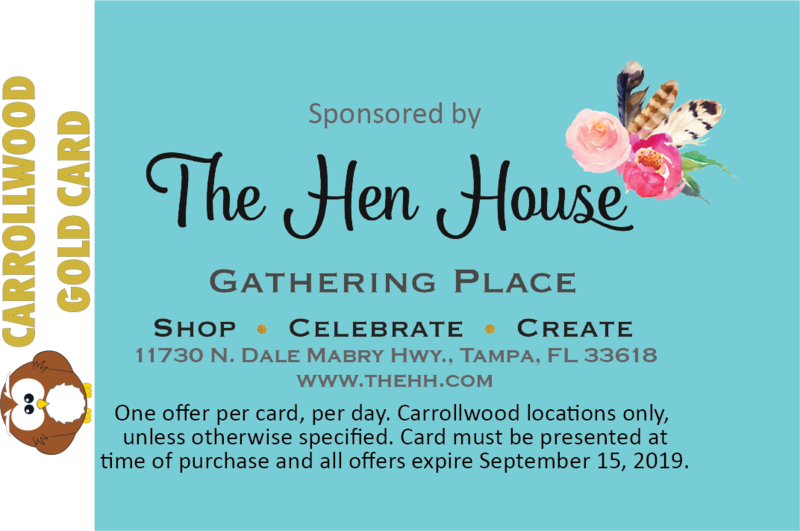 This card is super charged with value with deals from some of your favorite Carrollwood area businesses. Live too far away to use the card, but still want to support Carrollwood, simply choose No Card Needed, I just want to help! when adding the product to your cart. Be sure to include your student’s name in the checkout and write the Order Number from the receipt on the Student Order Form. Bring Me a Card!, I Don't Need a Card, I just want to help!